Happy Holidays from all of us at Palatine Hills! 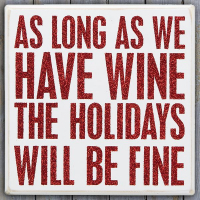 We are open to help you shop for some last-minute gifts and wine to enjoy with your meal! Tour d’Epicure is an exciting new one-day cycling and epicurean adventure for the connoisseur of food, wine and cycling! Palatine is excited introduce our very own cheeses made in collaboration with Gunn’s Hill Cheese in Woodstock, Ontario.